Can you feel the extra sparkle in the air? That sizzle? It’s not fall, friends — I’m pretty sure it’s coming straight from Chapel Hill and all our excitement over our tenth anniversary issue!! After finally selecting a cover (holy goodness, she’s going to blow your socks off!) and nailing down the final few real weddings, we’re moving full steam ahead with wrapping up this gorgeous book and sending her off to the printer at the end of the month. The sweet tea and biscuits are at the ready for a big party once Nicole presses that final send button! We’re gearing up for our biggest celebration to date when Volume 10 hits newsstands on November 9th, and we know we couldn’t have gotten here without all of y’all. We’re truly grateful. And, we’re thrilled to be able to include you in the celebrations in a brand new way this year by inviting you to join our official Southern Weddings Tenth Anniversary Launch Team! • Loads of fun and more!! Applications close Monday, September 25, so scoot along and apply today if you’re interested! The fun doesn’t stop with the launch team! Pre-orders are going on sale soon (ahem, October 9th). I’m hard at work nailing down details for a blockbuster launch party celebration at our beloved Carolina Inn. AND we need your help with a few final details for this issue, so stay tuned to our social channels to vote on a few Southern favorites and for the chance to get your responses published in print! The countdown to our tenth anniversary issue is on!! Last summer Marissa and I did a fun in-person event where we got to debut the Joyful Wedding Planner to many new friends. Between the two of us, we convinced more than a few people who already had wedding planner binders to buy ours and switch – ha! 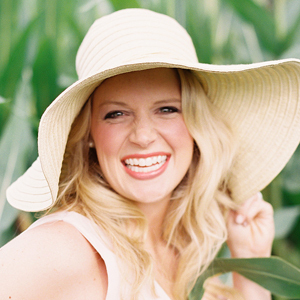 I have a passion for the wedding industry, marriage, or am a Southern Weddings product user. I will commit to publishing Southern Weddings related product content at least six times annually. I have an active and working website/blog centered on weddings, lifestyle, marriage, business, home, or a related topic. My website/blog is regularly updated and has at least three months of content. Does that sound like you? Here’s how our program works! Complete the online application at ShareASale and wait for us to reach out to you with approval. Apply now! For bonus points, send an email to [email protected] to help expedite your application. Include a link to your website, a little info about you, and how you intend to share the mission of Southern Weddings. Your application will be reviewed within 7 business days. If approved, you’ll have access to a library of graphics, banners, and links along with a monthly newsletter. Whether you add a banner to your site or feature a product in an upcoming social or blog post, you’ll have many options to share all your favorite Southern Weddings products. We’re so grateful for your help in getting the word out! As an affiliate, you’ll earn 10% on every Southern Weddings Shop purchase made through your links! ShareASale takes care of all the back-end tracking, reporting and payment, making it super simple for you. Whether you’re an official affiliate or not, know that we’re so stinking grateful for your support of our brand and mission! I’m sending you big hugs right now. And remember – Kaylee is your gal if you have questions, so shoot her an email – [email protected]! Ahhh I fit every requirement except the number of followers! Maybe next time! :) Love love love my Joyful Wedding Planner! Me, too! I’m always telling people about the Joyful Wedding Planner, though, and won’t stop anytime soon! I’m adding the link to my “client sendoff” packages along with the link to the Welcome Home Guestbook because I loooove that idea.